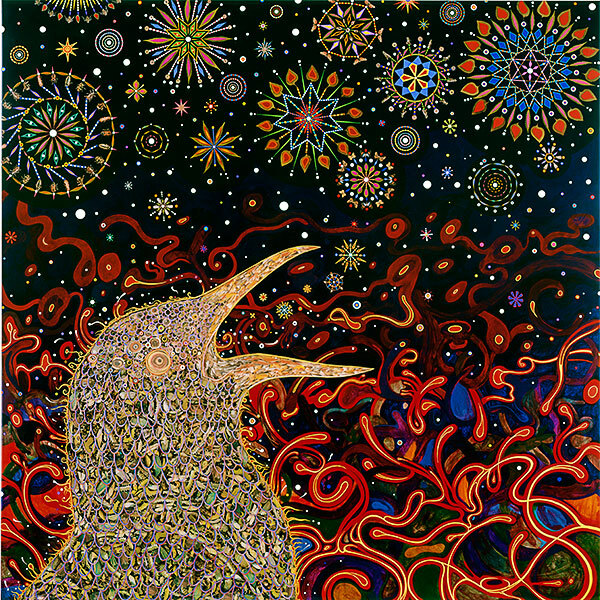 Drawing upon art historical sources and Eastern and Western decorative traditions, Fred Tomaselli’s works explode in mesmerizing patterns that appear to grow organically across his compositions. 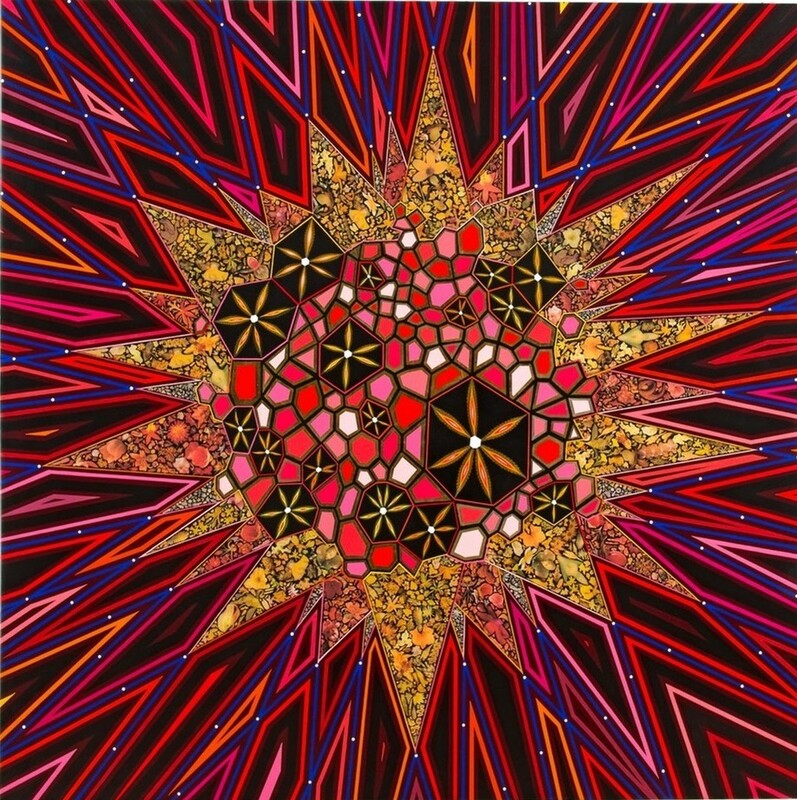 2010; Photo collage, acrylic and resin on wood panel; 80 x 80 in., 203.2 x 203.2 cm. 2013; Mixed media and resin on wood panel; 60 x 60 in., 152.4 x 152.4 cm.